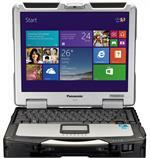 Our Refurbished Panasonic Toughbook laptop and Toughpad tablet computers undergo extensive evaluation beyond any typical Toughbook refurbishment. Worn or defective components are replaced. If the LCD is dim, the touch panel is not activating properly, the keyboard discolored, the mouse pad excessively worn, doors and door gaskets worn or missing ,or case excessively worn, they're replaced. This is just to name a few of the components we test and evaluate. 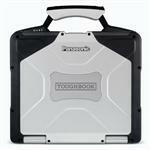 All of our refurbished rugged laptop and tablet computers include a 1 year warranty, extendable to 3 years and includes the battery, because a toughbook or toughpad computer is not portable with a battery that can't hold a charge. We have highly trained technicians that stand behind each unit that leaves our shop. Each Panasonic Toughbook or Toughpad unit is thoroughly refurbished, tested, configured to factory specification, cleaned and tested again to guarantee good working and physical condition. M Rugged Mobile is a Prime Authorized Panasonic Reseller We can customize your refurbished unit with larger standard or solid state drives, add memory, 3G or 4G LTE, backlit keyboards, Windows 10 and more at competititve pricing. No comparison at any price! If you're OK with scratchs,dents and a few cosmetics issues, lets call these used, but fully functional, with the original batterty and a 90 Day Warranty give us a call. We might have something for you!